We have the ability to forge steel components in various profiles and perforated steel rod / tube, being considered unique in Europe in this process and equipment. In the automotive industry, TECNIFORJA leads the mono-block shaft sleeve design. This unit was specifically designed in a fully robotized forging cell supported in a TR process to develop the increased wall thickness of a tube. We get a thickness up to three times the original thickness in the required area. We thus create a shaft sleeve, a support shaft or, alternatively, a half-shaft whose end of the tube is forged. 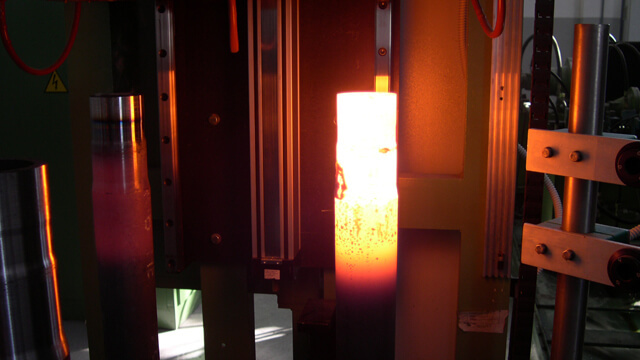 The major advantage of this process is to produce the shaft sleeve in one piece.